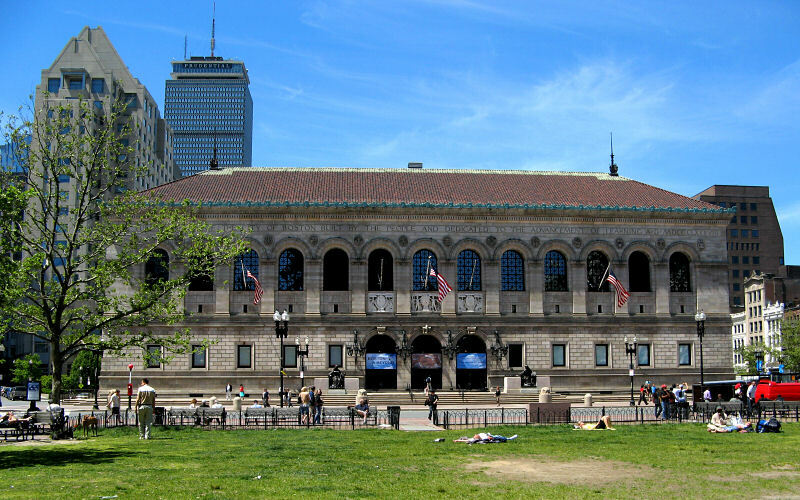 To anyone who has ever tried to drive or park in Boston, it would probably be apparent that the city came into being long before the automobile did, and the street layout hasn't adapted much since. 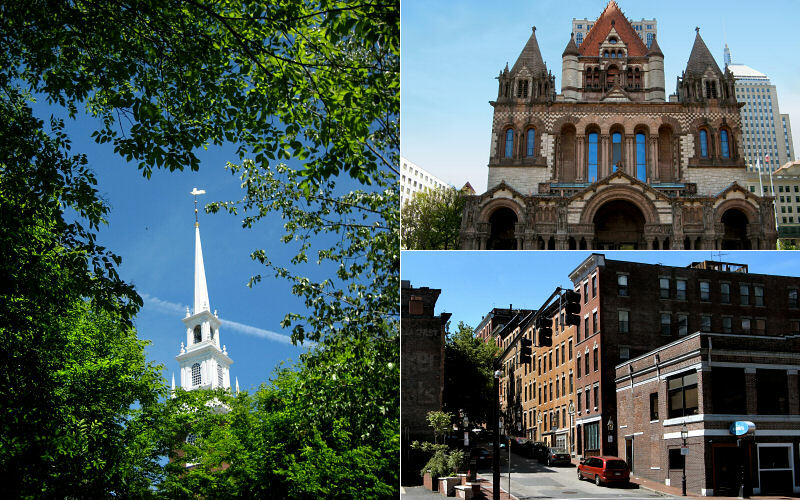 However, this makes it a great city to explore by foot, with lots of narrow, walkable, streets which are lined with historical buildings and places. 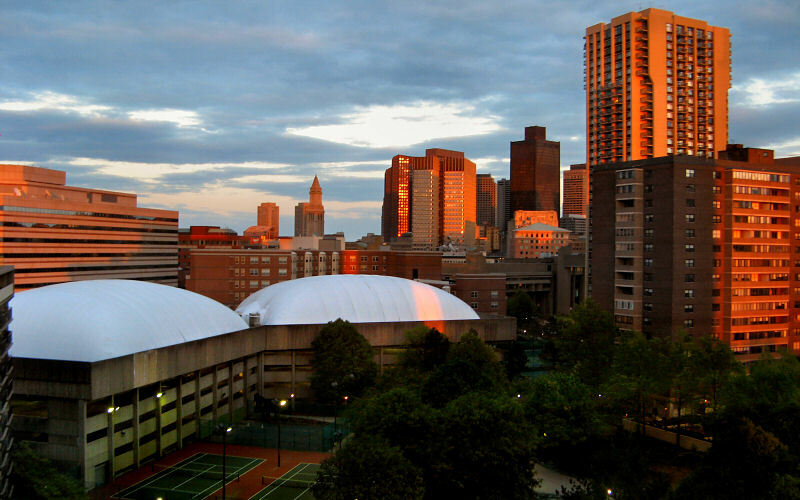 The Boston area is also home to many prestigious colleges. It's like the birthplace of elitism. 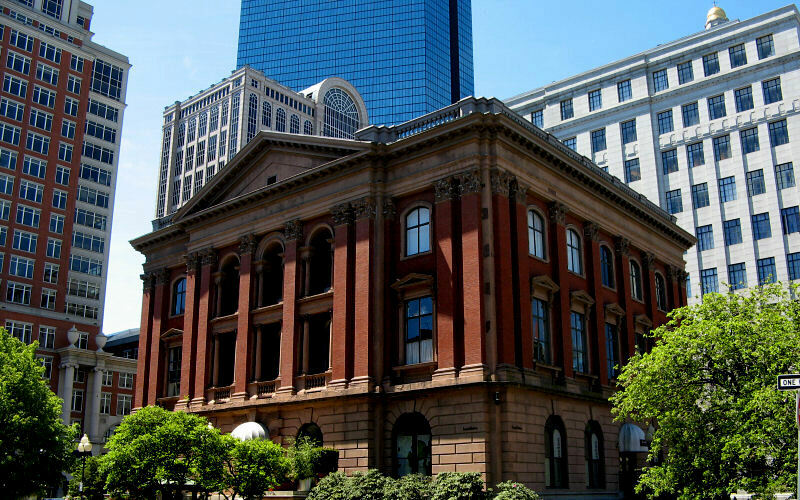 At one time, in this country's dark historical past, learning from books, studying science, and being factually knowledgeable was often lauded. While the elitists of the past may be chiseled into our monuments and statues, the elitists of today are being forced to face the real facts, like the fact that we in Middle America don't care about facts. Truth comes from the gut and/or Stephen Colbert. If it sounds right, and it doesn't challenge my worldview, then by god, no book or scientist is going to tell me otherwise. I didn't see one person in Boston who was wearing a flag pin and if you're not wearing a flag pin then I don't trust you. How do I know you aren't some foreigner bent on the destruction of this country? I'll never forget the time I went to the doctor and she started using all these fancy words like "tongue" and "lungs". I said "Listen here lady, I don't know what no 'lungs' is but if you're talkin' bout my air holes, they're just fine thanks, I don't need you to be runnin' no fancy science tests to tell me that. I smoke every day to clean them out. You sure you is the doctor and not just the nurse? I ain't never heard of no lady-doctor." So next time you go in for surgery, make sure your doctor wasn't trained by some liberal elitist college like Harvard. Look for a diploma from Pat Robertson's Regent University if you want to know you're in the right hands. 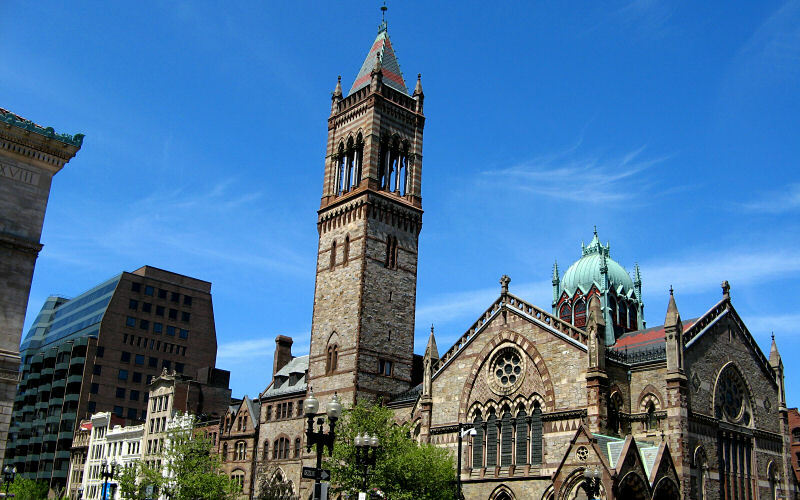 Anyway, I highly recommend you visit Boston, it is a unique and interesting place. Just be sure to carry around a Franz Kafka book and the most expensive double expresso latte you can find so you aren't harrassed by the elitists. 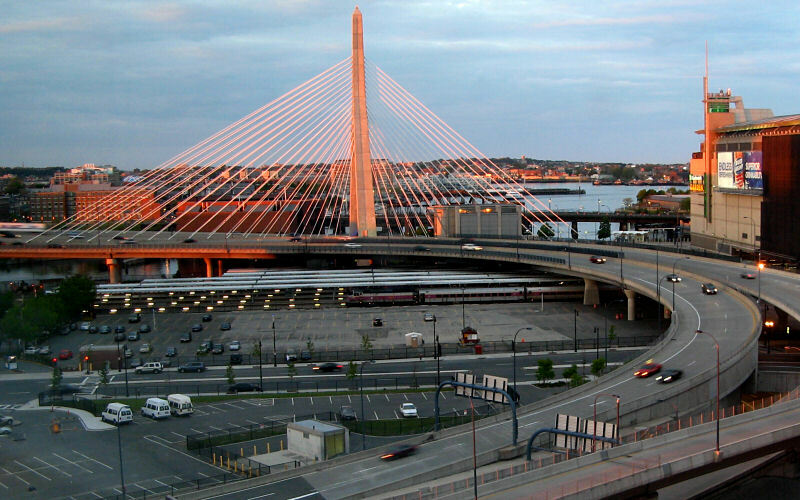 Bunker Hill Memorial (Zakim) Bridge. 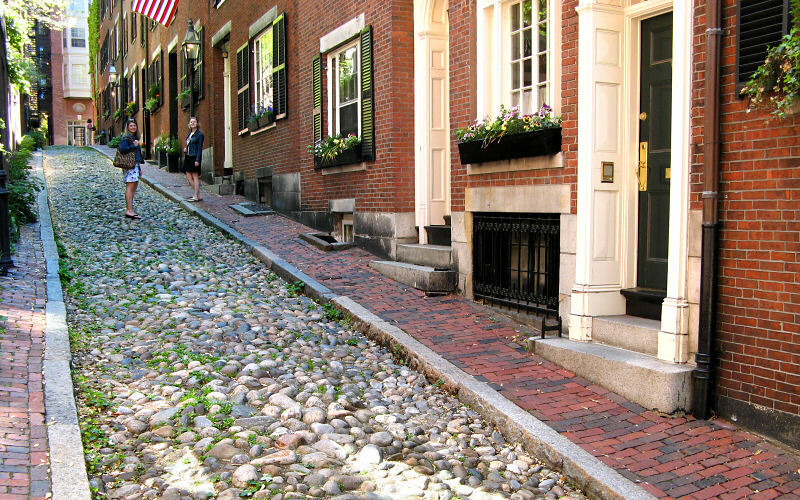 Acorn Street, the most photographed street in Boston, but photos don't do it justice. Sailboats below the historic Beacon Hill. 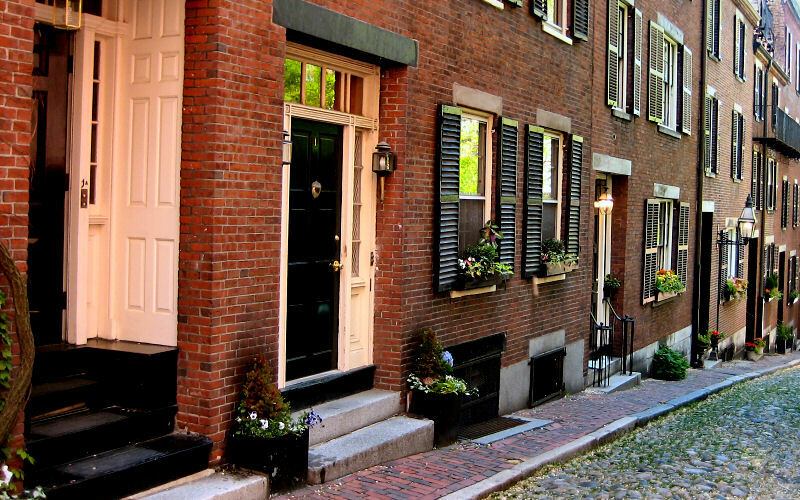 Row houses along Acorn Street (Photo by Megan). 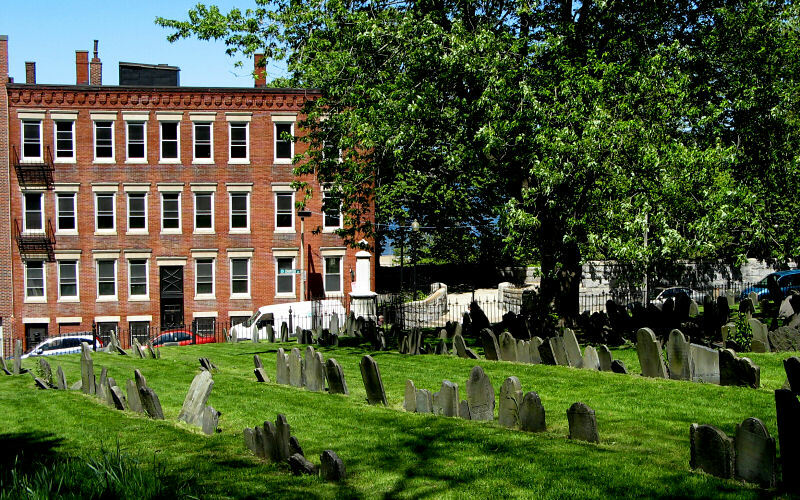 Copps Hill Cemetary, established in 1660. Downtown from a park near Hanover and Cross. 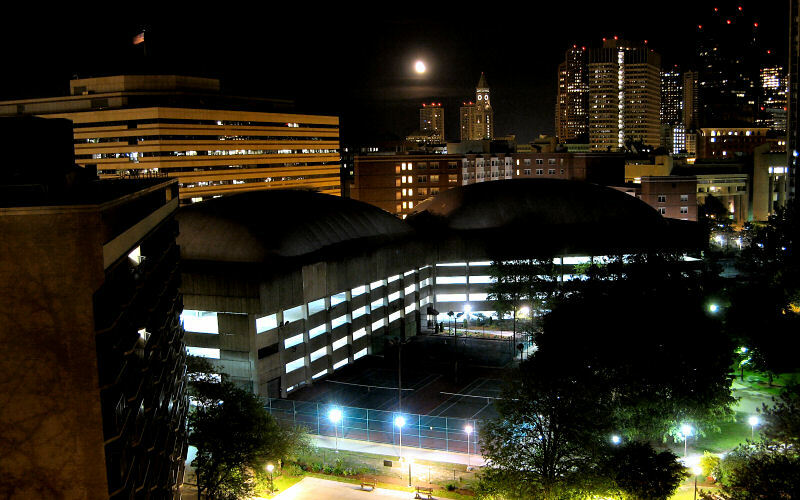 Prior to the "Big Dig" this was where I-93 went through the city, now it is underground. 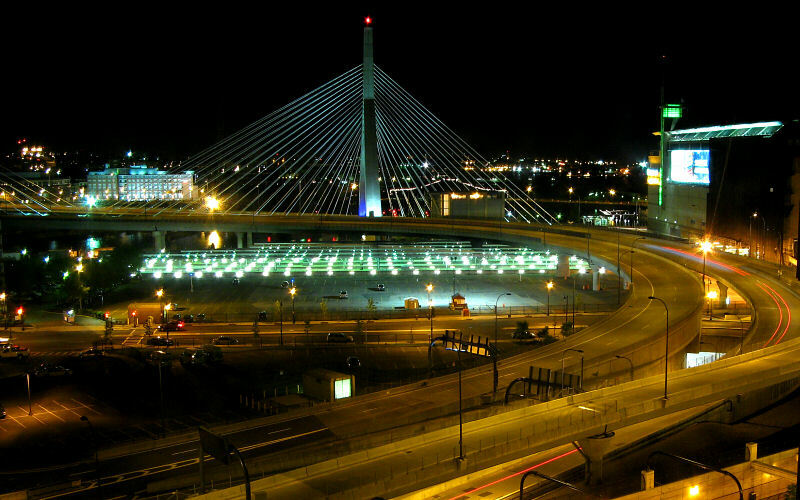 Bunker Hill Memorial (Zakim) Bridge at night. 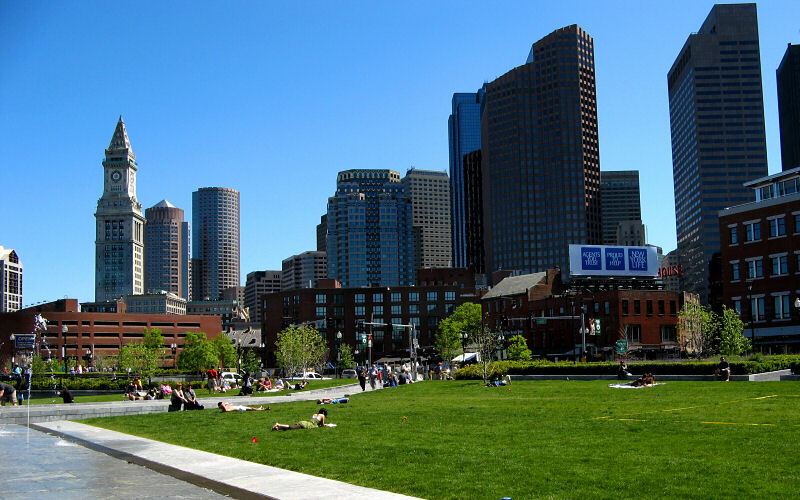 Left: Looking towards the west side of downtown Boston from the Boston Common. 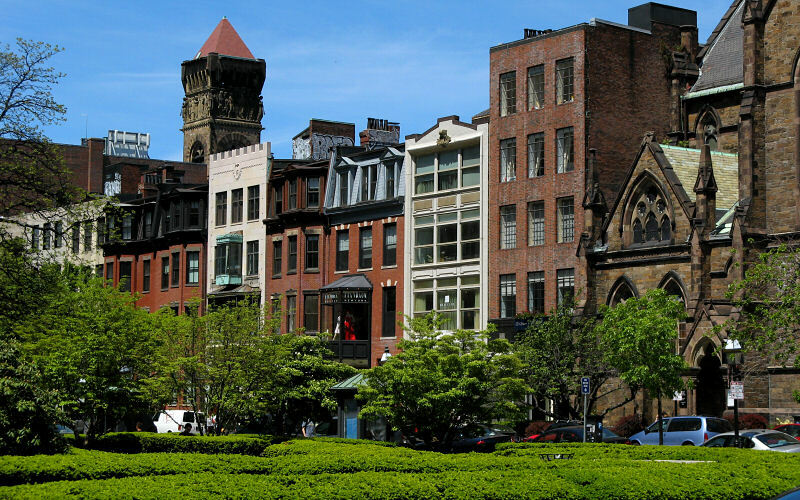 Right: Newbury Street. 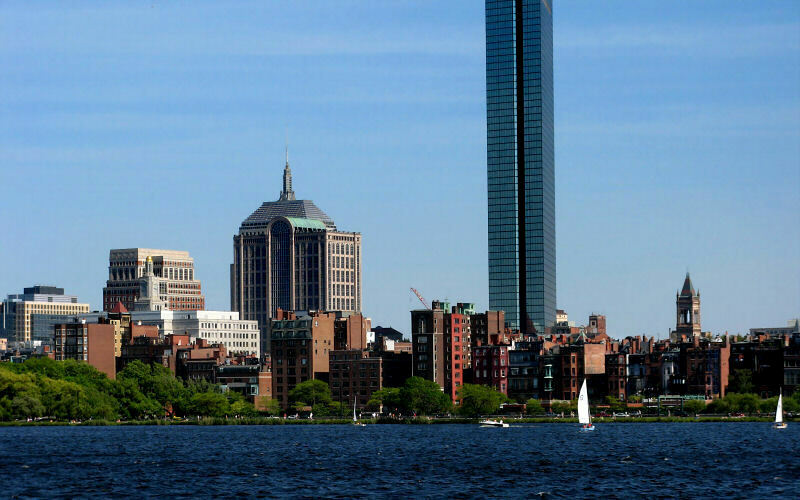 This shows most of the tall buildings in downtown Boston from the east (left) to the west (right). 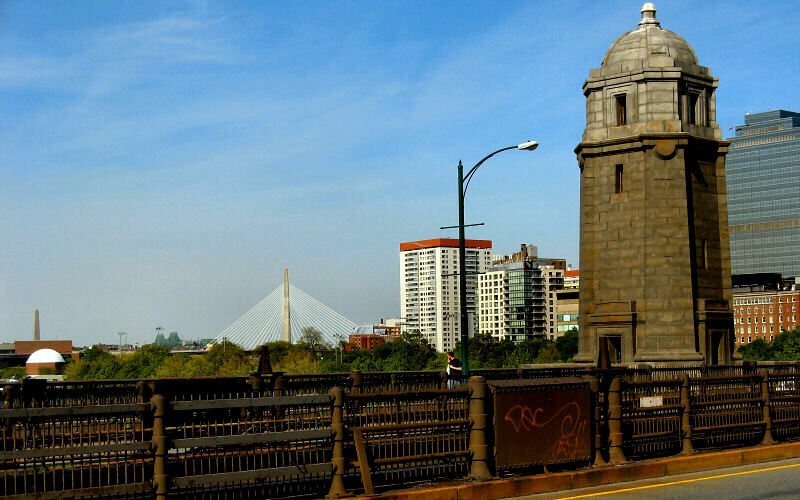 The Bunker Hill Bridge in the distance. Driving into town on I-93. Various views from around town. 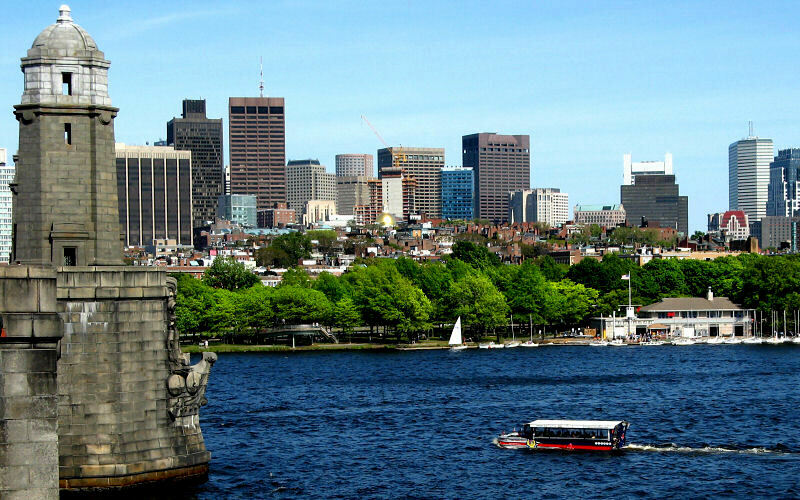 Beacon Hill From the Longfellow Bridge. 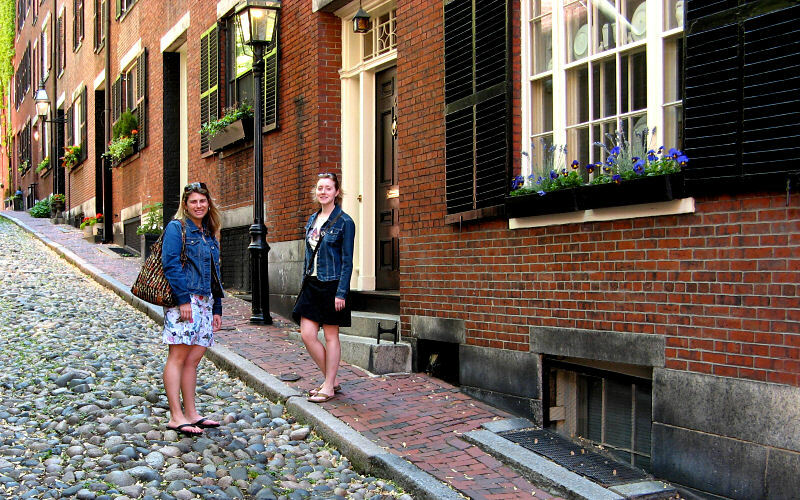 Left: The Old North Church, where Paul Revere warned that the British were coming (Photo by Megan). 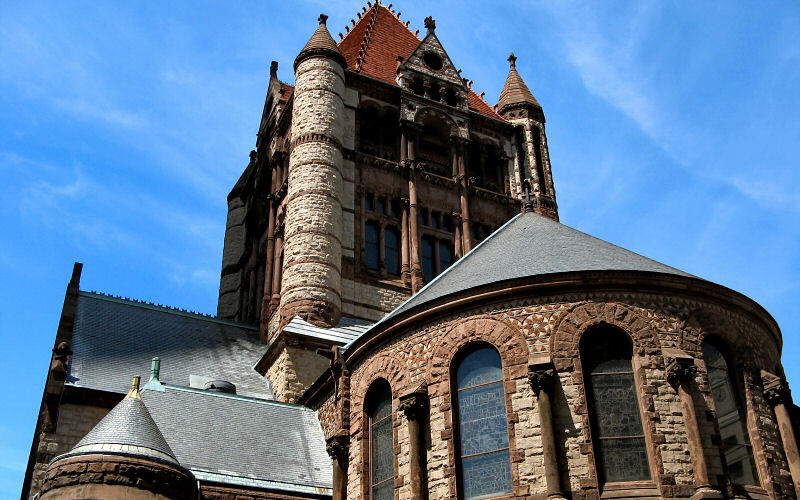 Top: Trinity Church. 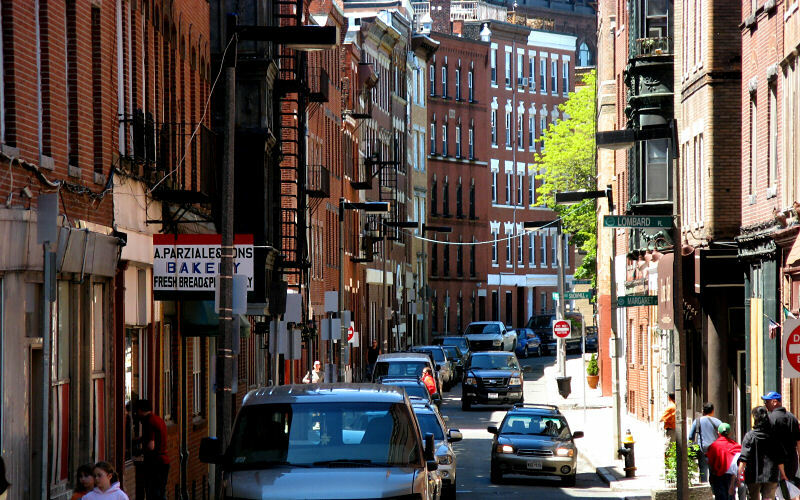 Bottom: Beacon Hill. Top of the Boston Legal building in the Back Bay area. 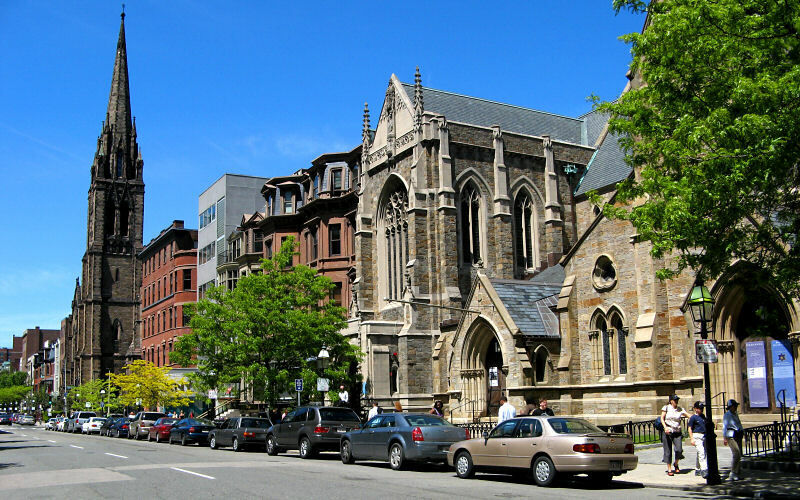 Trinity Church. 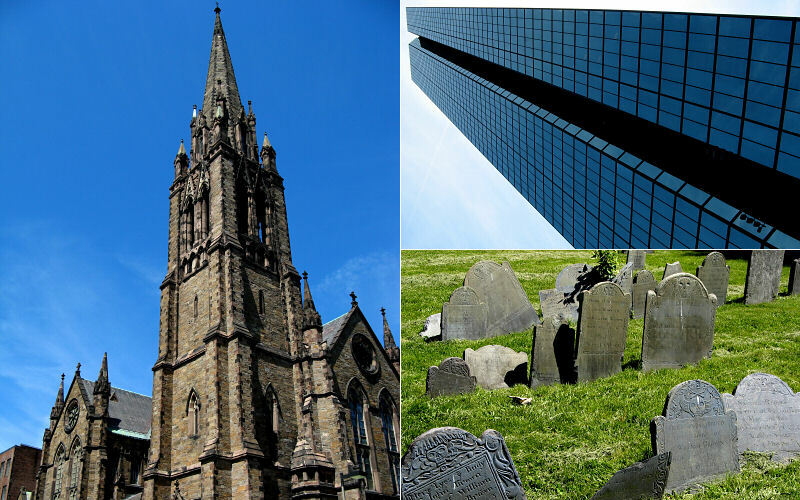 Boston is home to many, many interesting churches. 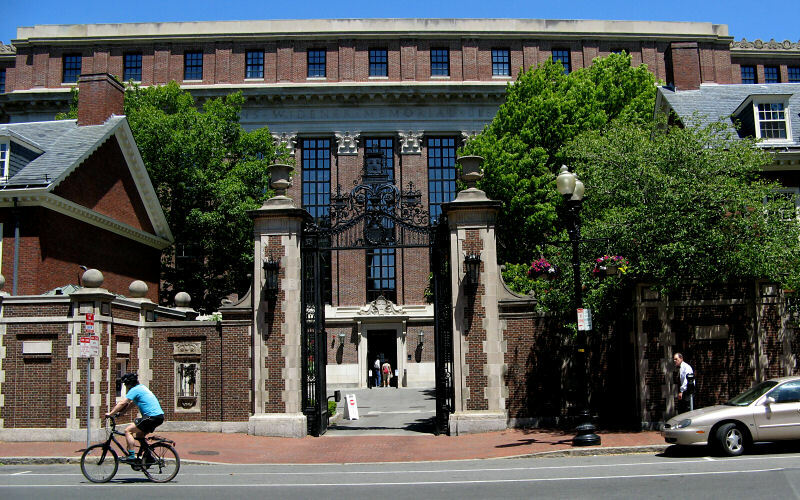 The gateway to Harvard Yard (pronounced hah-vahd yahd).